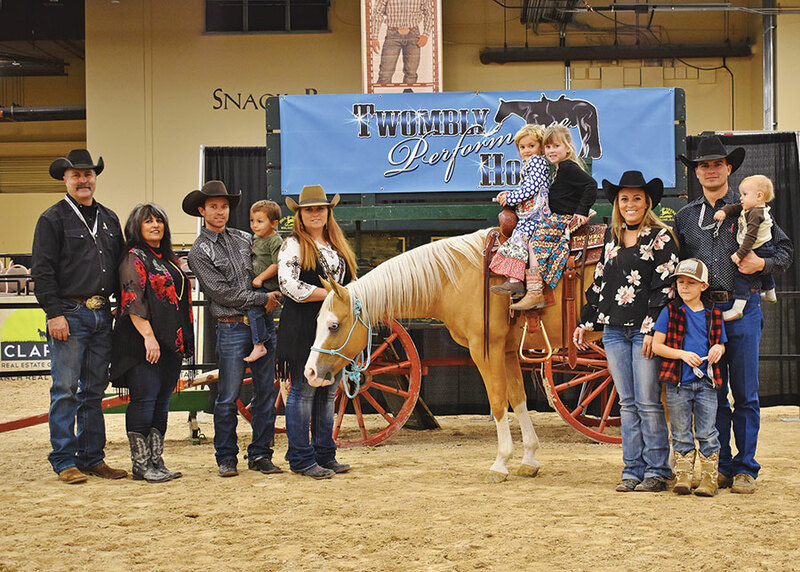 After a year of good competition and camaraderie, the California Reining Horse Association announced its list of 2018 Year-end Champions and Reserve Champions. The CRHA’s 2019 schedule is upon us, with the Sweetheart Reining scheduled for Feb. 2–4 at the Los Angeles Equestrian Center in Burbank. 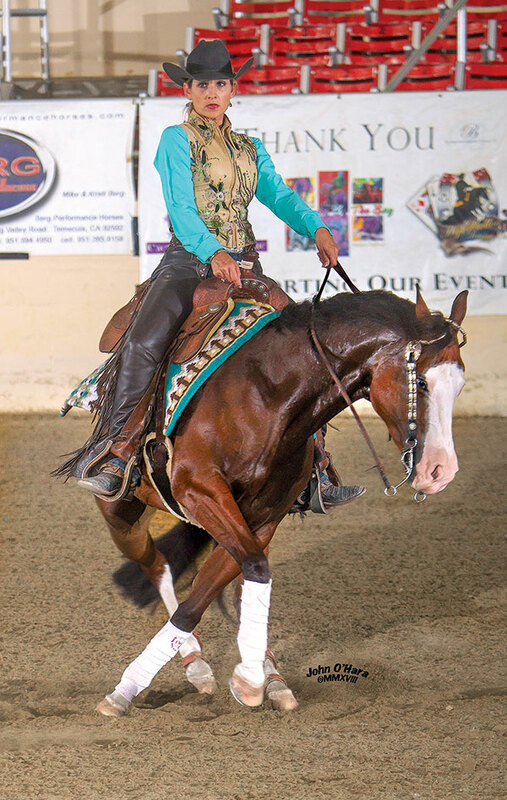 RANCHO MURIETA—A memorable 2018 reining season was memorialized Jan. 19 when then West Coast Reining Horse Association held its year-end awards banquet at the Murieta Inn and Spa, the beautiful, new facility owned by Carol Ward, who owns the Murieta Equestrian Center. David Hanson was master of ceremonies at the event, which included a silent auction that raised $7,500. In addition to awards presentations, the night included prestigious special awards like the Kathryn Cagle “Inspire-Me” Award, the WCRHA “Horseperson of the Year” and WCRHA “Horse of the Year”. What is speed control? It’s when we are moving at any gait and have the capacity to reduce or increase speed at will, with little or no effort on the part of the rider. There are a lot of ways to cue a horse to change speeds, but what we will work with here is the concept of riding with the motion. There are three actual ways to ride a horse’s motion: most people ride with the motion; a racehorse jockey leans forward and rides a half stride ahead of the horse to encourage speed; and lot of our real good riders ride a half stride behind the motion—where their weight and position are actually creating some resistance for the horse’s movement. It would be like if you tied a sack of rocks on one horse and had no rocks on another horse; the horse with the rocks tied on him is going to stop way before the horse without the rocks. Why? Because the rocks go against his motion so he slows down after a period of time. BURBANK—Each year, the California Reining Horse Association puts on “the show of shows” of the West Coast, and this year was no different when the CRHA Challenge lit up the Los Angeles Equestrian Center Oct. 24-28. Southern California’s biggest reining competition drew top horses and riders from throughout California, Arizona, and Nevada. Coming away with special awards this year were Charmain Sauro, who rode Zins Rowdy Whiz to the CRHA Reiner of the Year Award; Rex Ross, recipient of the Rick Flathers Sportsmanship Award; Marilyn Scheffers, who rode Gunna Juice You to the Gatolotto Memorial Buckle; and Allison Williams who took home a trailer as well as the Rebecca Goss Memorial Trophy after the duo swept the CRHA and NRHA Rookie Level 2 events. Setting this show apart from CRHA’s other shows is the number of aged events available to competitors. Friday night saw tough competition in the Yellowstone Non Pro Derby. Kristen Booth swept the Level 4, 3, and 2 Non Pro Derby with a massive score of 149.5 aboard Kristin L Kutchuk’s Baby’s Got Blue Eyes. Brook Boyle, aboard Barbi and Michael Boyle’s Sunset Nite claimed second in the Level 4 and 3, only one point behind Booth. The Level 1 Non Pro Derby also saw big scores with Maria Danieli-Krueger taking the with with a score of 147 aboard Equestrian Properties’ Shining On Spooks. LAS VEGAS, Nev.—With a record-setting sale-topper and an overall average of $25,800, the Twombly Performance Horse Sale Dec. 7-8 proved a hit attraction at the Mandalay Bay Resort. Held during the National Finals Rodeo in the Roper Cowboy Marketplace, the sale-topper went for $100,000 and attracted bidders from 26 states and Canada. The top five averaged $50,900, and the top 15 average was $34,500. When the hammer fell on Lot 4, “Pumkin”, became Twombly’s all-time, high-selling horse! The beautiful 4-year-old Palomino gelding is an own son of HF Mobster. He has had reining training and went to a repeat buyer in Arizona, show officials said. Lot 15, “Doodle”, who found a new home with repeat buyers from Kansas, sold for $42,500. 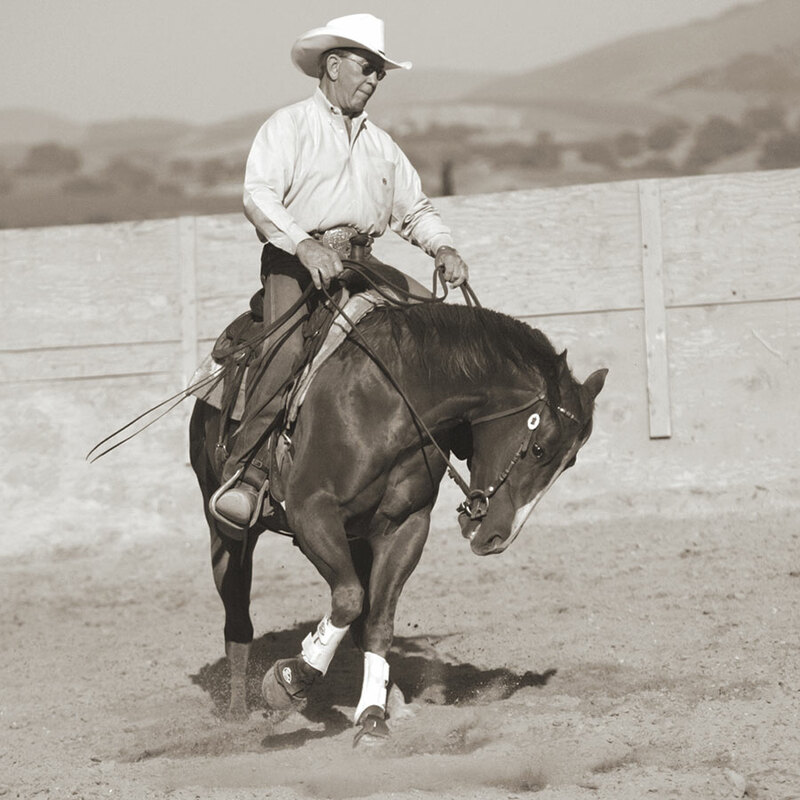 The son of Mister Dual Pep is a finished reiner with earnings and is a gem to ride on the ranch. NEW YORK—The American Society for the Prevention of Cruelty to Animals announced that it has granted $125,000 to three organizations to support their efforts to create one-of-a-kind, innovative programs that keep owned horses out of risk and in their homes. The ASPCA Equine Welfare Safety Net Innovation Grant Program inspires new thinking and initiatives to improve equine welfare and expand safety net services for equines. The grant program supports new initiatives designed to identify owners with at-risk horses to deliver services and resources to help keep horses in their homes or provide access to euthanasia to alleviate suffering. As breeding season is right around the corner for those of us in the northern hemisphere, I think it is good to take into consideration genetic testing. The 5 panel test is a group of five diseases commonly found in quarter horses and related breeds. Knowing if your mare or stallion carries the genetic defects that can cause these diseases can help steer you to a breeding match that will prevent experiencing these debilitating diseases in the offspring. HYPP (Hyperkalemic Periodic Paralysis) is a disease that results in uncontrolled muscle spasms and/or paralysis. They can be as severe as to cause death. The defect results in too much potassium being leaked into the blood stream. It can be managed by a low potassium diet and also the use of potassium wasting diuretics. If a horse has 2 copies of the gene, they are most likely to manifest signs. If one copy of the gene, less likely. Chelsey Berkstresser has joined the team at GGT-Footing, and her enthusiastic attitude and knowledge of western riding disciplines will help spread the benefits of the GGT’s great products into the western pleasure and western markets. Growing up in the horse industry with a grandfather who bred Quarter Horses and Appaloosas, Chelsea is no newcomer to the equine industry. 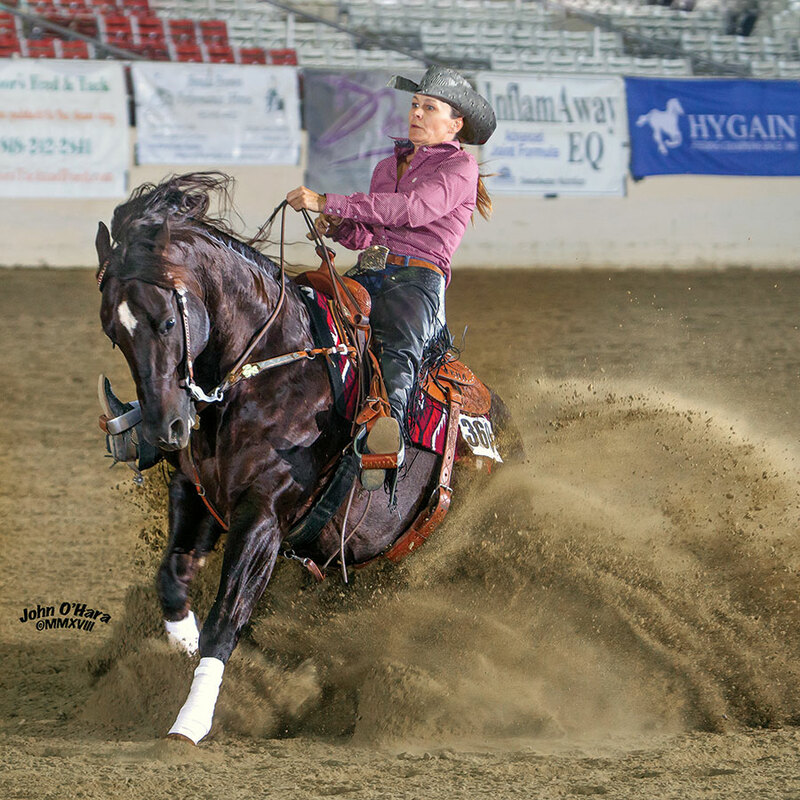 She showed Western Pleasure as a young girl before turning to working cow horse. In 2009, she represented the state of Pennsylvania and the PRCA as Miss Rodeo Pennsylvania. She currently competes in working cow horse events and is a show producer for the RSTPA. Meanwhile, GGT-Footing anticipates its groomers will revolutionize the ease and effectiveness of keeping arena footings in their best condition. They were developed especially for the care and levelling of uneven surfaces and geotextile soils as well as for sandy underground. Their construction is robust, and the handling is easy. Because of their compact and modular design, the device requires little space and offers one of the best price/performance ratios on the market.